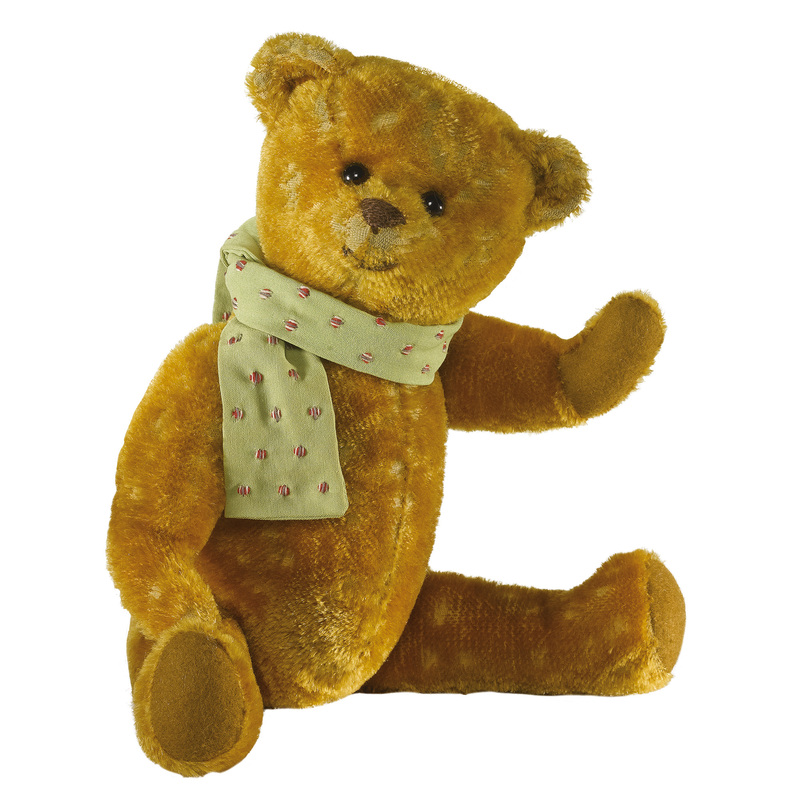 Made of age-plucked, short pile, cinnamon mohair, Friendly has black button eyes, a smiling mouth and felt paws. He wears a hand-embroidered scarf and is softly filled with polyfibre, with plastic pellets added for weight. The original Friendly was probably made by Ideal Toys in the 1920s. Ian bought him at a show in San Diego in January 2015. He has the typical features of an early American bear and with an unusually happy expression.